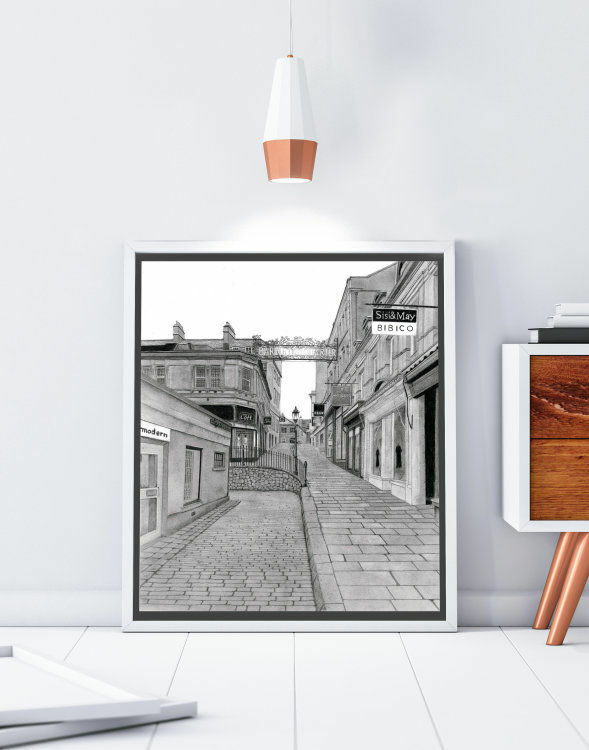 This piece captures Bartlett Street Quarter in Bath which is known for its arts and crafts scene. It's a pretty little street with an ornate sign to welcome visitors. Thanks to the preservation of much of Bath's architecture it would be easy to imagine this was a scene of 100 years ago, with only the modern shop signage betraying the story. This piece is available to purchase through or Saatchi site. Alternatively contact us to discuss pricing and purchase directly through our website.